The rates and app don’t match other providers in the market. Launched as Elavon’s mobile solution for accepting cards, Elavon MobileMerchant provides a contract-free card machine that turns your mobile device into a point of sale. It is a pay-as-you-go solution that only costs a setup fee and fixed transaction fees. Elavon has been around for 25 years. They have over one million customers, making it the fourth biggest payment processor in the US and 6th biggest in Europe. The MobileMerchant solution is available in the UK and Ireland. 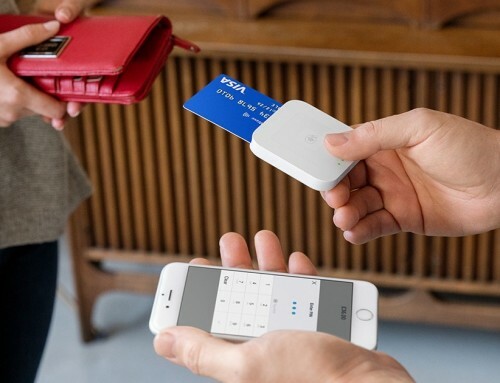 It works like this: a compact chip and PIN reader connects via Bluetooth to your WiFi/3G/4G-enabled smartphone or tablet. To start a sale, you enter the payment amount into the MobileMerchant app on your mobile device, which sends the payment information to the card machine that accepts the chip, magnetic stripe or contactless card. The customer can enter the PIN directly on the card machine’s PIN pad if using chip, or sign on the screen of your phone if using swipe. The app then finishes the transaction through the internet. MobileMerchant accepts Visa, Mastercard and JCB cards as well as Apple Pay and Google Pay. You can also accept card-not-present payments through the virtual terminal (only accessible in an internet browser) that also comes with the package. MobileMerchant used to be more transparent about their prices, but have removed them from their website. You now have to phone them for the latest prices, which we did in March 2018, so all quotes listed here are from this time. 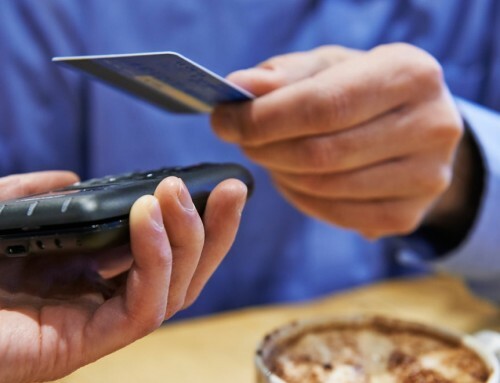 There’s a one-off setup cost of £79 for the card reader and account sign-up, after which you only pay transaction fees for the sales you process – as far as we were told. Please note that pricing can change, so do ask the sales representative for details if you call them. There are no monthly fees and no long-term contract required. 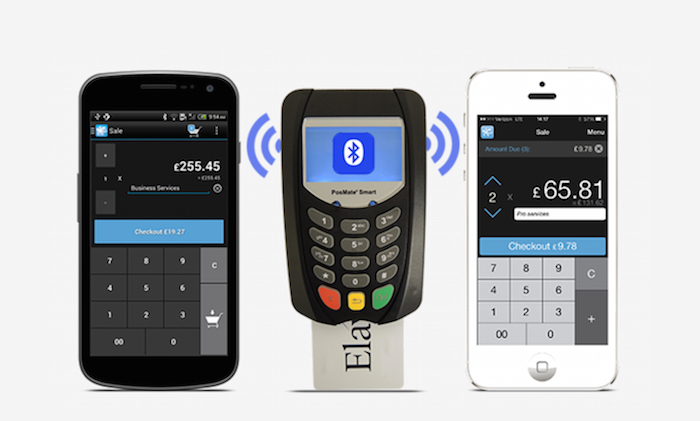 Higher-volume businesses may be able to negotiate cheaper transaction rates, but Elavon will likely try to get those businesses to go for a traditional chip and PIN machine instead. To get started with Elavon MobileMerchant, you need to call them to register a new account. It used to be possible to sign up online, but they have removed this option from their website. 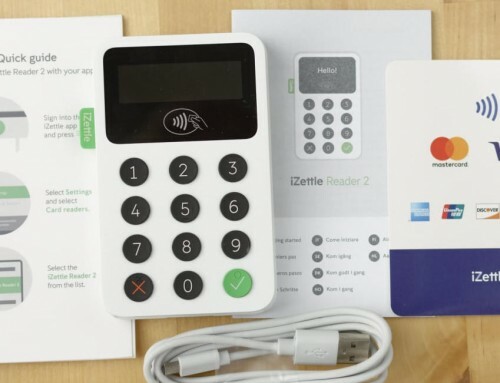 After you have signed up, you receive the card reader – also called ‘PIN Pad’ – by post, and an email will give you the set-up instructions. You can then download the free app on your mobile device, set up the app, and start taking payments. You also have access to the MobileMerchant portal in any internet browser, where you can see your sales data, resend receipts, manage user rights and use the virtual terminal for phone payments. Funds are deposited in your linked bank account the day after all transactions, which is quite good compared to other payment solutions that can take several days. 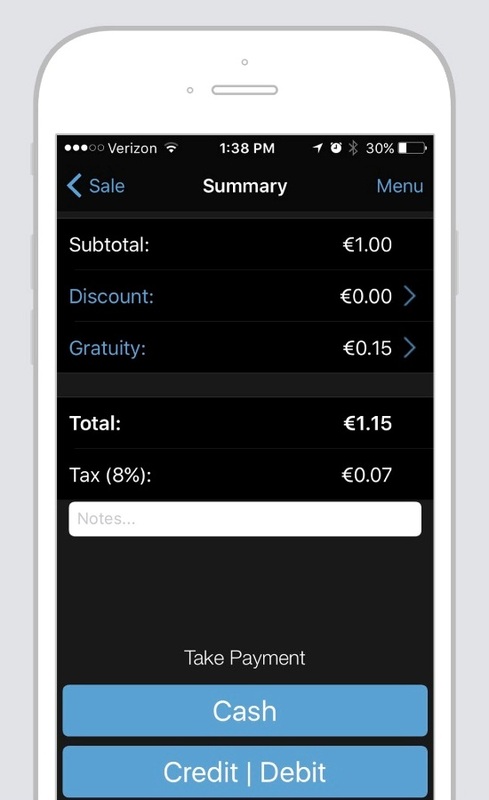 The app includes tipping functions, which not all free POS apps offer. You can also add VAT and discounts to payments, create several user accounts for multiple staff, process refunds and send SMS and email receipts after each sale. 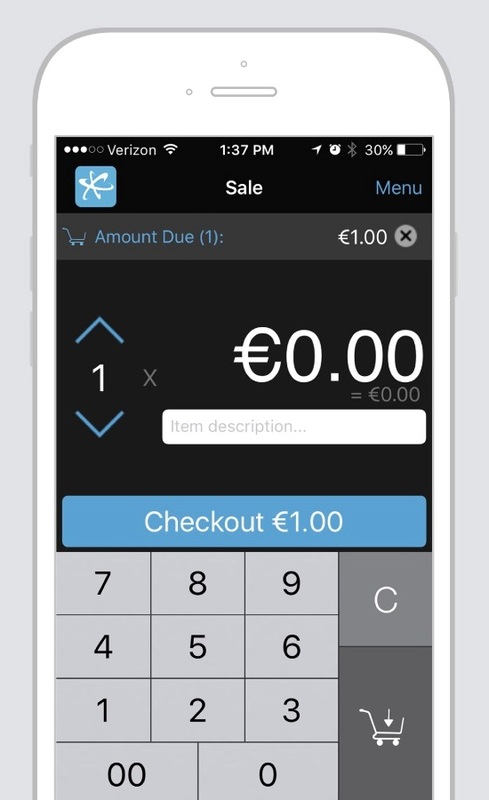 If you’re planning on printing receipts, however, MobileMerchant does not support this. The app is not frequently updated. Last time the iOS app was updated was 7 months ago, while the Android app was last updated a year ago. Generally, that is not a good indication of how serious they are of keeping up with the competition. 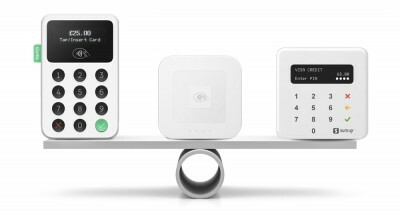 Other mobile point-of-sale apps like iZettle Go and Square Point of Sale are much more frequently updated, while it’s clear they’re constantly innovating their features to stay competitive. How does it compare to other mobile card machines? Like other key players in the UK, MobileMerchant eliminates the need for a contract, monthly fees and minimum sales volume requirements, but falls short when it comes to fee rates and card reader cost. The £79 price tag makes the Elavon card reader the most expensive on the market. The free MobileMerchant app can be downloaded from the App Store or Google Play. You’ll need an iPhone or iPad running iOS 9.0 or later, or an Android smartphone or tablet running Android 4.1 or later. Elavon used to be the only app-based mobile terminal in the UK compatible with Blackberry, but given the lack of information online about this, it is unclear whether the latest version is compatible with it. For security reasons, the app doesn’t work on rooted or jail broken devices. Rooting is when the user can access system files on the device, enabling the operating system to be controlled or changed. Jail breaking is the removal of limitations imposed by the phone carrier, i.e. you may not be able to use a phone you have had unlocked where it was previously locked to one mobile provider. Elavon tries to compensate for its high prices by offering a round-the-clock call centre. Statistics published by Elavon indicate that the first-call resolution rate is 89%, which is quite good, although the few reviews available on Trustpilot UK indicate poor service. When we phoned MobileMerchant, they happily provided details of their prices without being salesy. However, emailing them did not give us any response even after a month, so you may be limited to telephoning rather than writing for support. If you value 24/7 customer support, iZettle offers the same for an extra cost a month, while most other mobile payment providers only offer daytime phone support. MobileMerchant falls far short of the alternatives available on the UK. Other mobile card readers like SumUp use more advanced Bluetooth technologies, preserving battery life, but that’s not the main issue – for most people, the main issue is the price. When compared to the other key players, Elavon MobileMerchant is the most expensive cashless tool for merchants, even though it provides the same features that others provide for less money. In other words, we don’t see much reason to choose MobileMerchant over the cheaper options that generally provide a better service, more cutting-edge solutions, and lower fees. If you need a virtual terminal on top of a mobile card machine and seriously need 24/7 customer support too, it may be worth considering this package, since you get a virtual terminal included without the monthly fees typically charged for virtual terminals. However, the transaction fee is 3.75% for Elavon’s virtual terminal, which is higher than Square’s 2.5% and SumUp’s 2.95% + 25p fees, both of whom don’t charge monthly fees for their virtual terminals either. But then, MobileMerchant has round-the-clock phone support, which can’t be said of the other options.